Photography Contest : Winter has arrived in Washington, get ready to explore the environment with your camera. Submit your entries and the photographs with maximum votes will be judged as the winner. Contestants should submit only original photographs of Washington State. 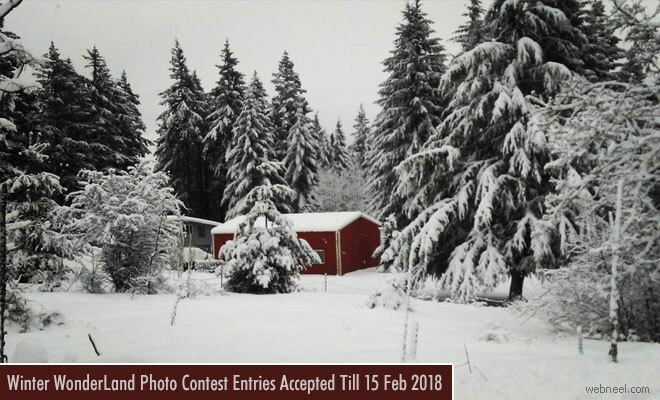 Winter Wonderland Photo Contest is open for entries till 15th Feb 2018. Only online entries are accepted till 15th February and there is no entry fees. Participants can upload maximum three photos and can vote for their favourite photo once per day. Second Place Winner: $150 gift certificate for Glazers Cameras and a $100.00 gift voucher for Northwest Fine ArtPrinting to be used on their online store. The winners will be notified within a week through email, after the end of the contest. Winners will be chosen based on the voting, more the entries, higher the chances of winning.